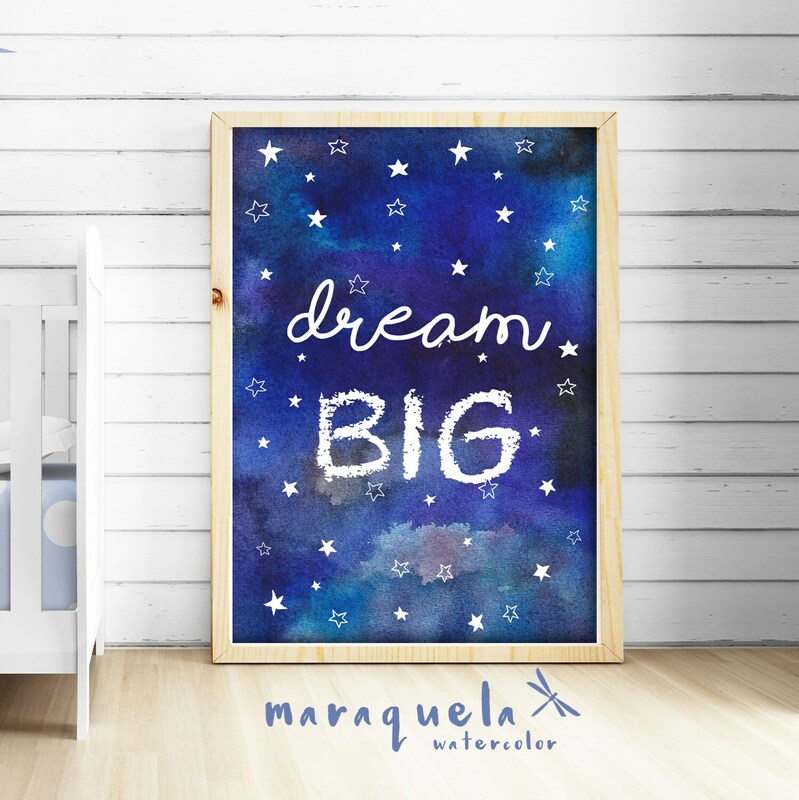 DREAM Big, illustration in watercolor SKY with stars for Baby and kids. 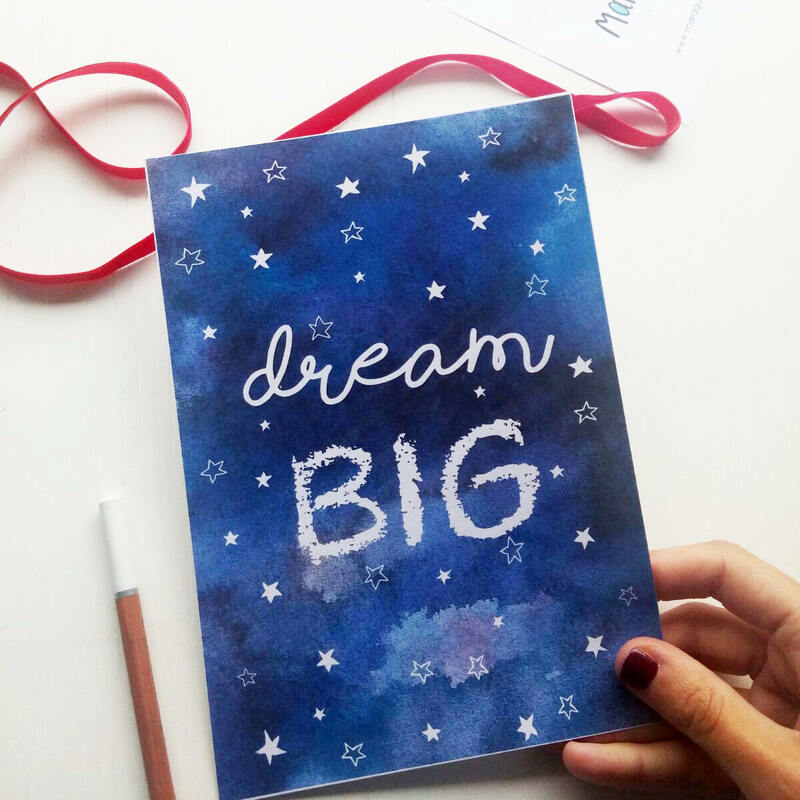 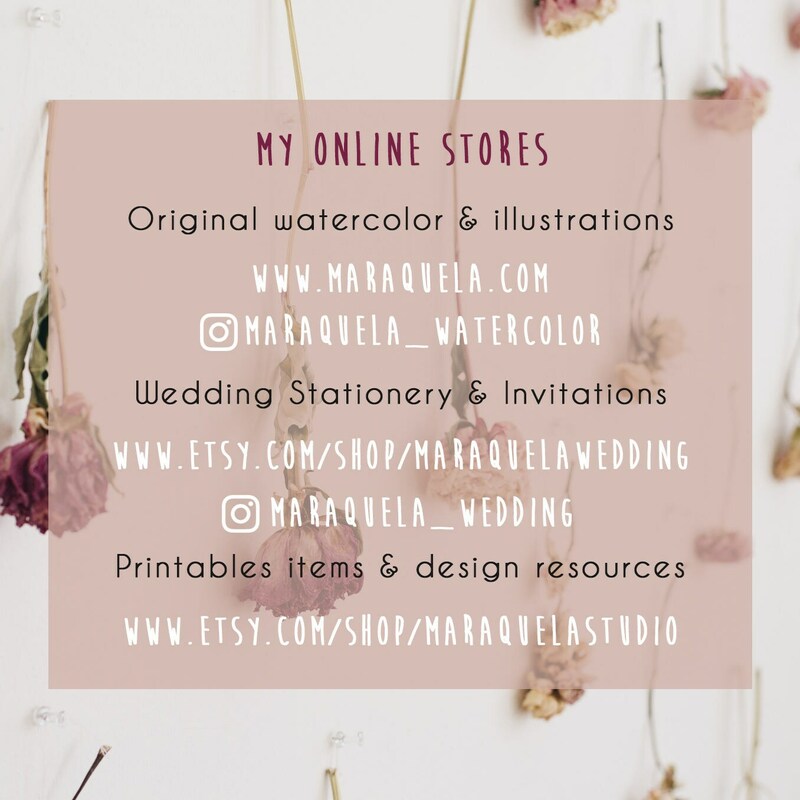 • Lámina CIELO AZUL, ilustración con estrellas y mensaje "DREAM BIG"
• Podemos personalizarlo con el texto que quieras, solo tienes que especificarlo en "notas al vendedor" durante el proceso de compra. 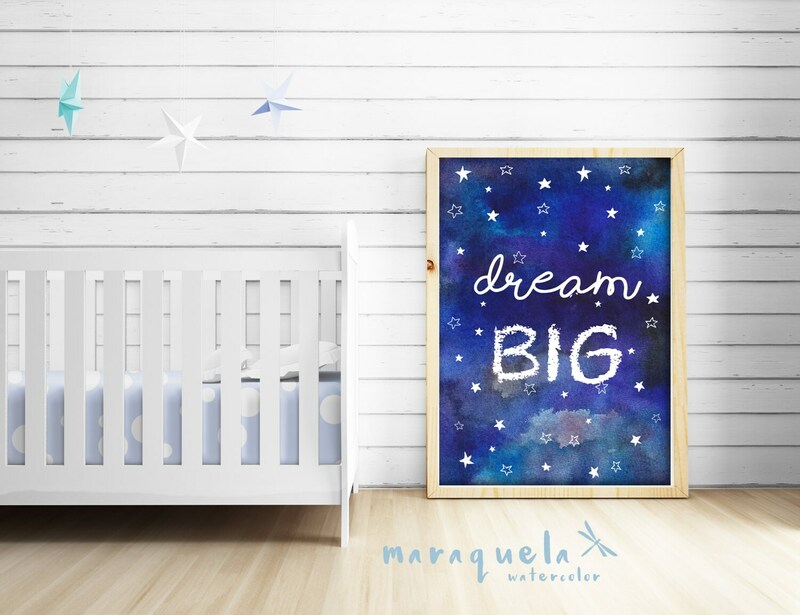 • Sky and stars illustration in Watercolor for baby boy with message "Dream BIG", grey and Blue hues. 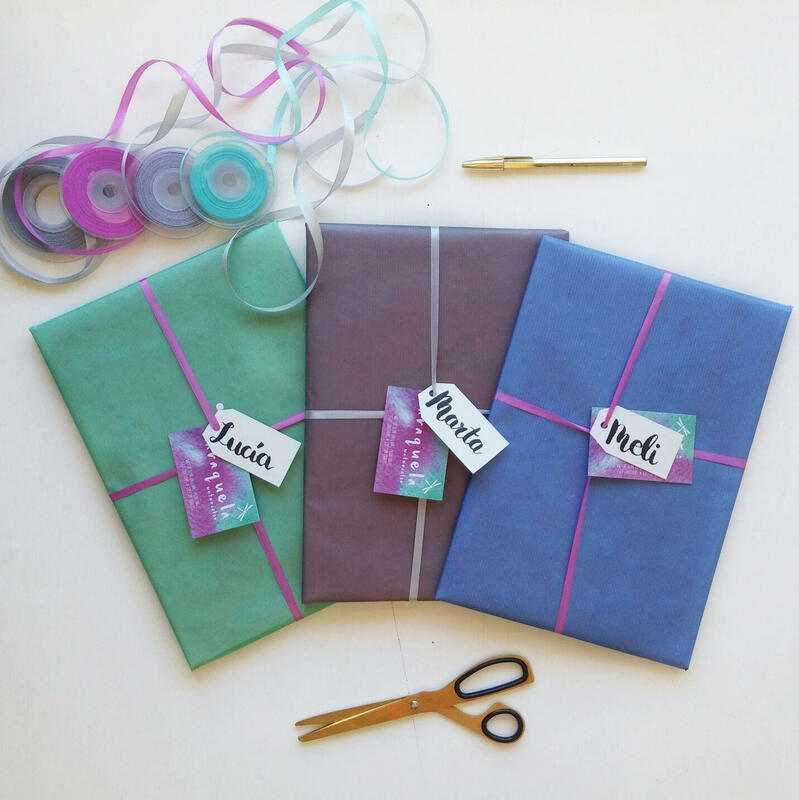 • To CUSTOMIZE it with the text you just need to specify the text in "Notes to Seller" in the purchase process.